TOMPLAST d.o.o. – UNITPLAST d.o.o. 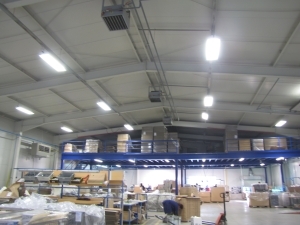 The renovation of the warehouse in a manufacturing facility required a new lighting system. 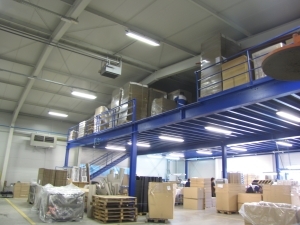 Double-deck setting and variety of work within the space required different levels of lighting. 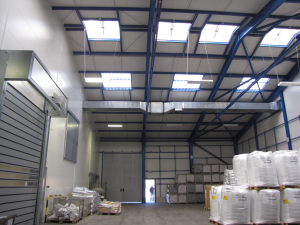 We used 2 types of industrial lighting.